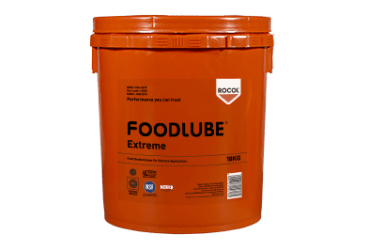 FOODLUBE Extreme is an organo-clay thickened grease. 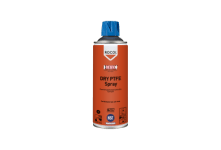 Its adhesive, non-melting formulation provides extreme corrosion protection, even in wet conditions and applications such as dairies, meat processing and abattoirs where frequent wash-downs are common. 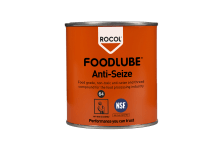 FOODLUBE Extreme is ideal for lubrication of ball, roller and plain bearings, as well as slides and bushes, where there is metal-to-metal contact. 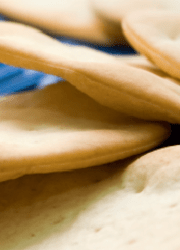 The grease significantly reduces frictional heat and wear to enhance performance and extend component life. 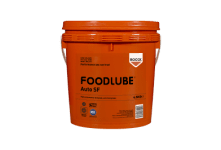 To protect against lubricant deterioration from microbial activity, FOODLUBE Extreme contains an anti-microbial compound, which along with the anti-oxidant additive package greatly extends the life of the grease – reducing re-lubrication frequency and total cost of ownership. The DETEX technology metal detectable cap on grease cartridge reduces risk of plastic contamination, and FOODLUBE Extreme is NSF H1, ISO 21469 and Halal certified for full audit compliance and peace of mind.